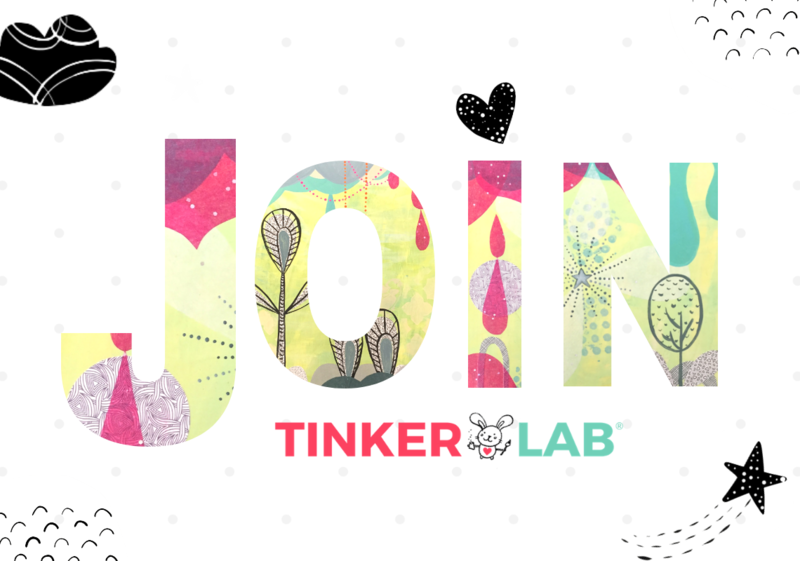 Join TinkerLab and we’ll help you find easy, actionable ways to support your young child’s creative journey. Every child is an artist and creativity is the foundation for innovation. 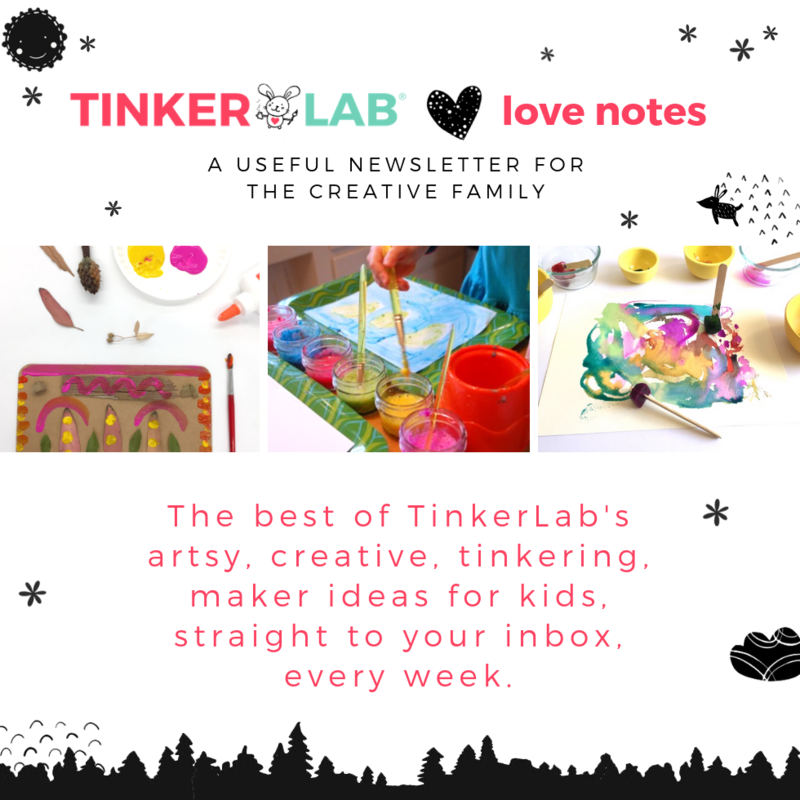 You don’t have to be a self-identified artist to hep your child’s creativity flourish. We believe that adults who have a positive mindset around creativity will pass this enthusiasm down to their children, and we’re here to help you tap into that mindset. It can be easy and fun, and we’ll show you how. You’ll hear from us weekly with tips, ideas, and opportunities to make more time for creativity with your family. 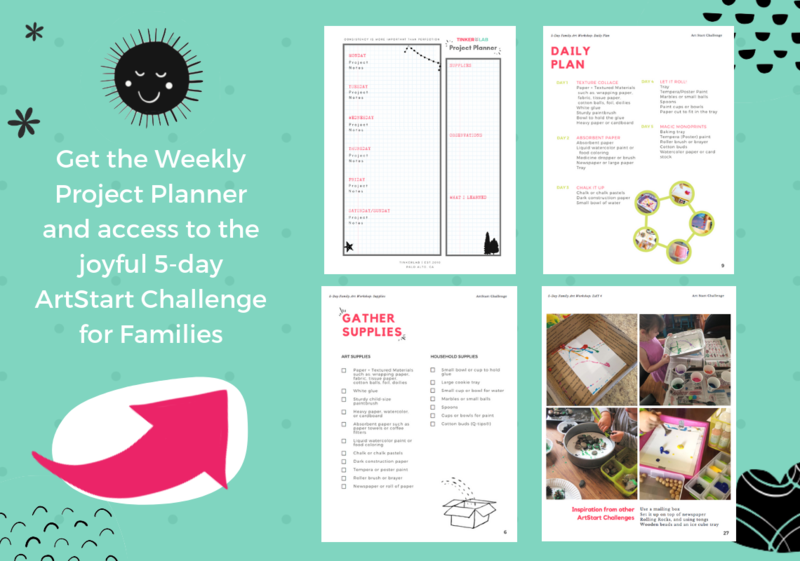 Add your name and email, and you’ll get a copy of our free weekly project planner plus access to the popular 5-day ArtStart Challenge.